A documentary expedition to Loch Ness in Scotland takes an unexpected turn for director Werner Herzog and his film crew. June 5, 2003 – Cinematographer John Bailey begins shooting “Herzog in Wonderland,” a documentary on the personal life and work of noted filmmaker Werner Herzog. At the same time, Werner is in pre-production with Hollywood screenwriter Zak Penn on a documentary titled “The Enigma of Loch Ness.” Werner hosts a dinner party at his home that introduces Gabriel Beristain as directory of photography on the Loch Ness project. July 27, 2003 – Herzog departs for Scotland where he meets production coordinator Robert O’Meara at Inverness Airport. July 29, 2003 – First Production Meeting – Russell Williams joins the crew as a sound mixer. Zak Penn produces official expedition jumpsuits for everyone to wear. The Scientific Advisor – Professor Michael Karnow, a supposed cryptozoologist, joins the expedition. Day One – Zak hires David Davidson as their boat captain and renames their ship Discovery IV. Kitana Baker joins the team as a sonar operator. As filming on the loch progresses, it is eventually exposed that Zak has been planning to fabricate certain scenes to liven up the documentary. Kitana is revealed to actually be a model hired by Zak and filmed separately without Werner’s knowledge. Day Two – Tensions rise over Zak’s clandestine motives, but he compels Werner to continue with the shoot, as they begin to see a mysterious shape in the water. When area locals hear rumors of a hoax exploiting their town, they assault Karnow at a pub. Day Three – Zak discovers that Gabriel and Russell checked out of the hotel. Zak forces Werner to continue the shoot without a full crew. In early evening, a large creature hits the boat and the ship begins to sink. Zak steal the lifeboat with Robert and flees. The rest of the crew is stuck on the disabled boat without a working radio as the creature attacks again. The Rescue – Although Robert dies, Zak makes it to another boat and has those passengers go to the Discovery IV. When they arrive, Karnow has died, but everyone else is rescued. The Truth – The surviving crew concludes the documentary with a summary of the aftermath and musings on the nature of the shoot. Think of “This Is Spinal Tap” as being a mockumentary with its comedic tone turned up to eleven. And yes, that is an intentional reference. That would put “Incident at Loch Ness” somewhere around a two using the same scale. Which is not to say that “Incident” is unfunny, because it is very much dryly hilarious. It just means that while “Spinal Tap” is overtly upfront about its yuk-yuks, “Incident” is infinitely subtler, and deliberately keeps the audience at arm’s length before letting them in on the joke. Things begin inauspiciously enough as a mockumentary within a mockumentary focused on famed filmmaker Werner Herzog, known as much for his unique personality as he is for his varied body of cinematic works. Herzog mills about his Hollywood home blathering about trinkets and preparing yucca root for a dinner party featuring celebrity friends like Jeff Goldblum and Crispin Glover in an appearance so brief it may not actually qualify as an appearance. Perhaps Glover was merely an illusion conjured by fellow guest Ricky Jay. As Herzog himself puts it, “filmmaking is a chain of banalities” after all, a point emphasized by a montage of disposable razor purchasing at Rite Aid and standing in line for a Pink’s hot dog. These are among the movie’s first more apparent jokes, though even they are mischievously hidden in a straightforward style initially presented as something to be taken seriously. “Incident at Loch Ness” is a boat planning to sink in a sea of satire from the outset, but it is perfectly comfortable taking on water slowly. Maybe a better way to put it is to rephrase the earlier analogy. If “Spinal Tap” is the Titanic striking a comedy iceberg in a thunderous crash, “Incident” brings that iceberg on board to melt at a steady pace. It takes more effort to notice the rising water, but passengers end up wet all the same. When sandwiched into those moments of banality described before, screenwriter turned co-star Zak Penn is a terrible actor, and I’m not sure he would disagree. But when the mood grows into “Curb Your Enthusiasm” absurdity minus the Larry David theatrics, Penn’s overblown personality has a chance to shine as a wink-nudge sendup of typical Hollywood stereotypes. Herzog joins the fun by tweaking his tabloid-worthy reputation with a subdued silliness that cools any obvious tongue-in-cheek heat before it can boil into goofball camp. Playing exaggerated versions of themselves, the personalities in “Incident at Loch Ness” don’t need outrageous antics to sell their story or their jokes. Situational chemistry makes the interaction appear incidental, and is wholly in keeping with the illusion of a documentary intended to feel authentic. The actual incident itself is probably a letdown in the grand scheme of things, although it is at least partially irrelevant and arguably meaningless in terms of what Penn and Herzog truly want onscreen. 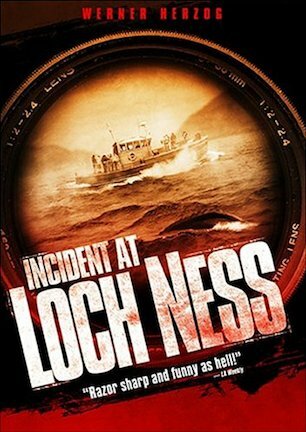 “Incident at Loch Ness” is no more about the search for a monster or the tribulations of a doomed film shoot than it is legitimately meant to fool anyone into thinking it is real. What the movie actually aspires to be is a genre-blending experiment in farce. It is a goal achieved, though as is usual in such comedic cases, its success is relative to individual tastes for wry humor and casual delivery.